Rundell Winchester celebrated his first goal in North East Stars colours with the winning item in a 2-1 victory over Defence Force in last night's first game of a double-header at the Ato Boldon Stadium in Couva. The 23-year-old Trinidad and Tobago international winger scored in the second half to preserve the Stars’ one hundred percent record from two Pro League games this term under new coach Derek King after Defence Force midfielder Hashim Arcia had levelled Jomoul Francois’ early strike before the break. San Juan Jabloteh, in the second game on the night, edged Morvant Caledonia United 1-0 courtesy a second-half own goal and like North East Stars, made movement up the ladder. 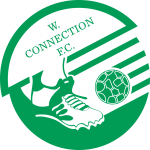 Jabloteh (7 points) and North East Stars (6 points) now occupy second and third positions respectively on the 2017 PL standings led by W Connection, who have maximum nine points from three games. 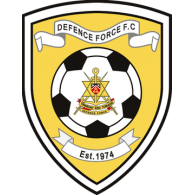 Defence Force were amiss before kick-off. And it didn’t come a surprise when the Army/Coast Guard combination fell behind after just six minutes to a Francois strike. Defence Force veteran talisman Devorn Jorsling and assistant coach Anton Joseph were absent for personal reasons, while team captain and veteran attacking midfielder Jerwyn Balthazar’s late arrival forced him out of the starting-eleven. Things went further south for the multiple-time former champions an hour before kick-off when head coach Marvin Gordon had to be rushed off to hospital due to illness. 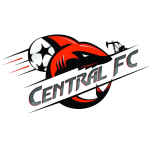 The Defence Force coach was released from hospital hours later and is expected to lead his side against three-time defending champions Central FC on Friday as the Tetron Boys look to pick up the pieces from a disappointing defeat. Arcia had levelled the soldiers two minutes before the break, sending a low finish beyond Stars’ goalkeeper Akel Clarke and into the far netting after recent signing Dylon King brilliantly controlled a pass in the area before setting up his teammate to score from the right. 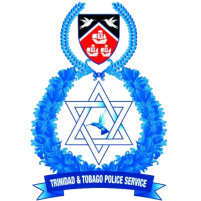 Defence Force technical director Lloyd Andrews stood in, in the absence of Gordon and Joseph, and his side got close to forcing an own goal in the final minute of the half. Then from the resulting corner the Stars defence had to desperately clear of the line. Two minutes into the second half Arcia failed to bury a second item when he headed wide after rising above the Stars defence to meet a corner swung in by his T&T international teammate Curtis Gonzales. And on the hour mark the lanky midfielder skied an attempt aimlessly overbar after he was teed up in the area. Those misses would haunt Defence Force in the 68th minute when Winchester—one of many new signings at North East Stars this season—executed a cool finish past goalkeeper Andre Marchan off a low perfectly-placed Kordell Samuel cross to restore King’s men’s lead. Winchester, who was denied twice in the first half by Marchan, was put through against the Defence Force shot-stopper with fifteen minutes left, but the former Central FC and Portland Timbers 2 attacker’s final touch let him down terribly. Winchester, who also had a stint in Finland with PS Kemi, almost turned provider in the final minute of regular time when his pass found the boot of substitute Kerry Baptiste. However the former Pro League Golden Boot winner and Player of the Year drilled his attempt inches wide of the far upright. Later on the night, Morvant Caledonia’s goalkeeper Glenroy Samuel and the crossbar had kept Jabloteh at bay. That’s until the 72th-minute when Morvant Caledonia defender Kareem Baptiste inadvertently turned a low Nathan Lewis cross past his own ‘keeper. It was a moment of reward for Lewis, who had been terrorising his former employers down the left flank. His crosses in the 31st and 53rd minutes should have produced goals but Jamaican Keithy Simpson saw his respective efforts saved by Samuel and denied by the crossbar. Samuel also made a superb save on the hour mark when he put behind a Vurlon Mills header off a free kick into the area by Jabloteh’s Jamaican captain Damian Williams. In the end, Samuel’s heroics weren’t enough to help his younger teammates avoid defeat against their neighbouring rivals. 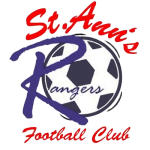 Morvant Caledonia will next travel against North East Stars from 8pm on Friday at the Arima Velodrome, and a day later San Juan Jabloteh will host St. Ann’s Rangers from 6pm at the Barataria Recreation Ground. 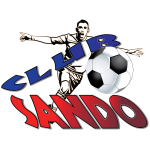 Morvant Caledonia United 0 vs San Juan Jabloteh 1 (Kareem Baptiste Own Goal 72’), at Ato Boldon Stadium. Unused substitutes: 25.Sheldon Clarke (GK), 18.Reon Moore, 22.Jelani John, 39.Akil Morris. 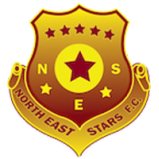 North East Stars: 30.Akel Clarke (GK), 3.Kevon Villaroel, 6.Leston Paul, 7.Kishun Seecharan, 11.Rundell Winchester, 12.Elton John (Capt. 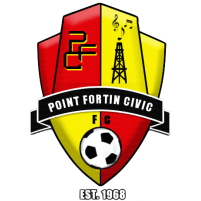 ), 14.Jomoul Francois (23.Akeem Garcia 70th minute), 15.Seon Thomas (Yellow Card), 17.Kordell Samuel (4.Kerry Baptiste 75th minute), 20.Yohance Marshall, 22.Jameel Neptune (19.Jelani Felix 61st minute). Unused substitutes: 1.Jabari Bryce (GK), 16.Giovanni Abraham, 24.Jabari Brathwaite, 25.DeJon Waldropt. 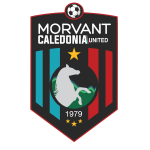 Morvant Caledonia United: 1.Glenroy Samuel (GK), 2.Murilo Barbosa, 6.Taje Commissiong, 8.Anthony Charles, 9.Shakille Belle (28.Renaldo Francis 69th minute), 12.Kareem Joseph (Capt. ), 13.Rufuson Pierre Louis (24.Michael Ten-Pow 86th minute), 17.Kerry Daniel, 18.Maestro Mensah, 20.Kareem Baptiste, 23.Lester Joseph (29.Kelsey Benjamin 79th minute). Unused substitutes: 31.DeJourn Charles (GK), 5.Joshua Sylvester, 19.Yahaya Amuzu, 22.Joshua Alexander. 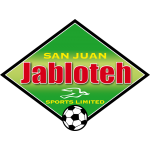 San Juan Jabloteh: 30.Shemel Louison (GK), 6.Akeem Benjamin, 9.Keithy Simpson, 11.Damian Williams (Capt.) (Yellow Card), 12.Kion Joseph, 13.Julio Noel (21.Dominic Douglas 75th minute), 15.Jesus Perez (Yellow Card), 16.Jairo Lombardo (22.Kadeem Hutchinson 69th minute), 18.Jevon Morris (17.Vurlon Mills 46th minute), 24.Adrian Reid, 27.Nathan Lewis. Unused substitutes: 1.Javon Sample (GK), 5.Shakiyl Phillip, 20.Aaquil Campbell, 23.Kennedy Hinkson.